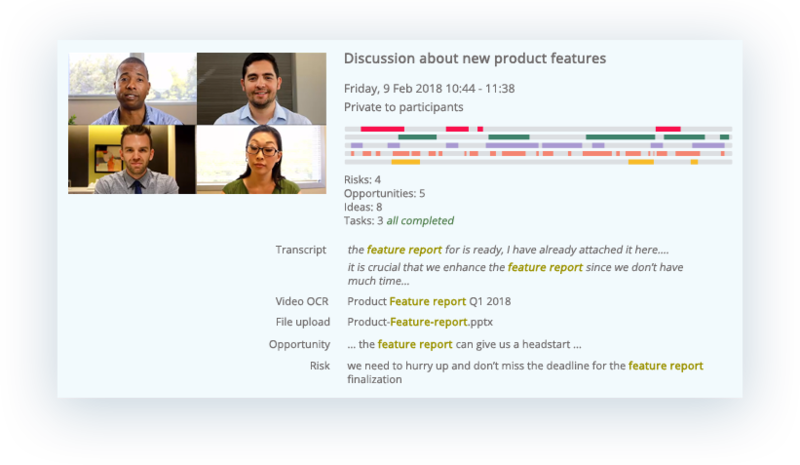 We combine human context and AI to detect and keep track of ideas, opportunities and risks and assign deliverables across your entire team by recording, transcribing and analysing high stakes discussions. Record everything: video, voice, screen and chat. Keep notes by placing timestamped bookmarks, risks, opportunities, ideas and tasks. Share your screen, documents and links. Search meetings and easily locate points of interest. Find what you’re seeking both in meetings you participated in and those shared with you. It's as simple as find, click and play. 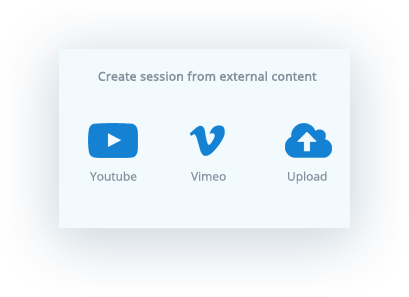 Replay and enhance recordings with new bookmarks, risks, opportunities, ideas and tasks. Engage with others in conversations by commenting on any recorded element. 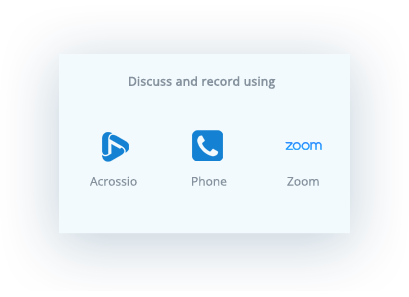 When typed conversations are just not enough to get your point across; Acrossio lets you hold intelligent online video meetings. Yes! Now you can search and discover golden nuggets in your meetings not just your Slack chat history. 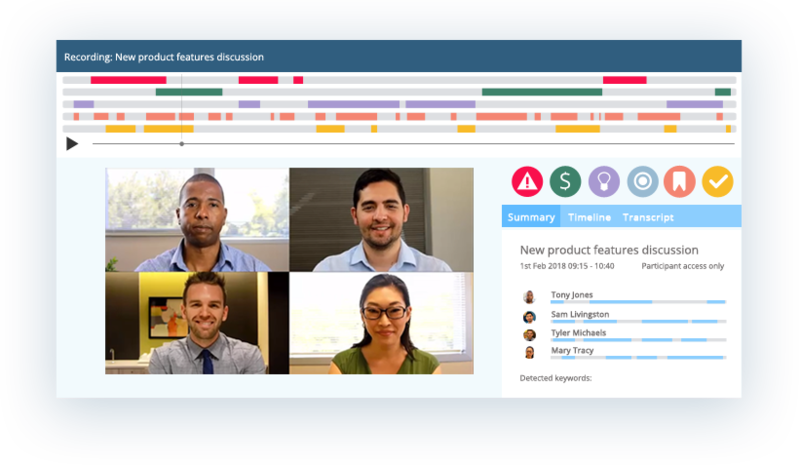 Mark Risks, Opportunities, Ideas, add Bookmarks and Tasks, and collaborate based on legacy meeting recordings or other web videos. Discover "aha moments" and share and collaborate with your team. 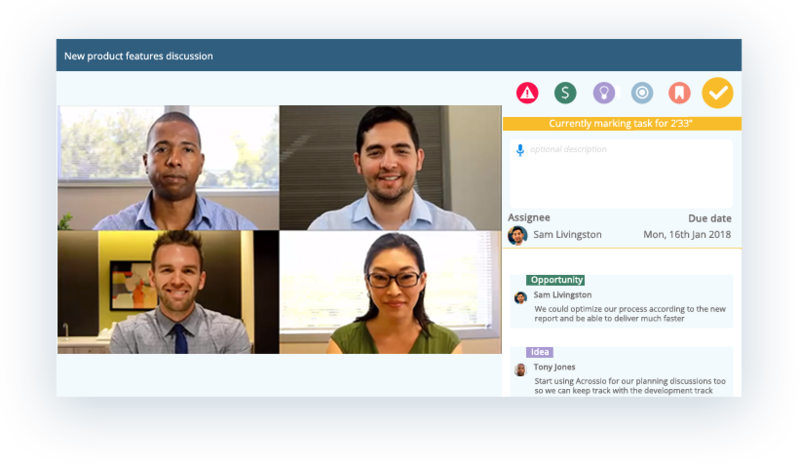 Collaboration takes place either in your WebRTC powered browser, or through Zoom. Recording is done in real time on the cloud. Integrations with more tools (skype, webex) coming soon! Checking email address. Please wait.. Success! Redirecting you to login screen..
Do you have an Acrossio account? Yes, I want to link my account with Slack You may be asked to sign in to this account. No, I need a new account A new Acrossio network will be created. 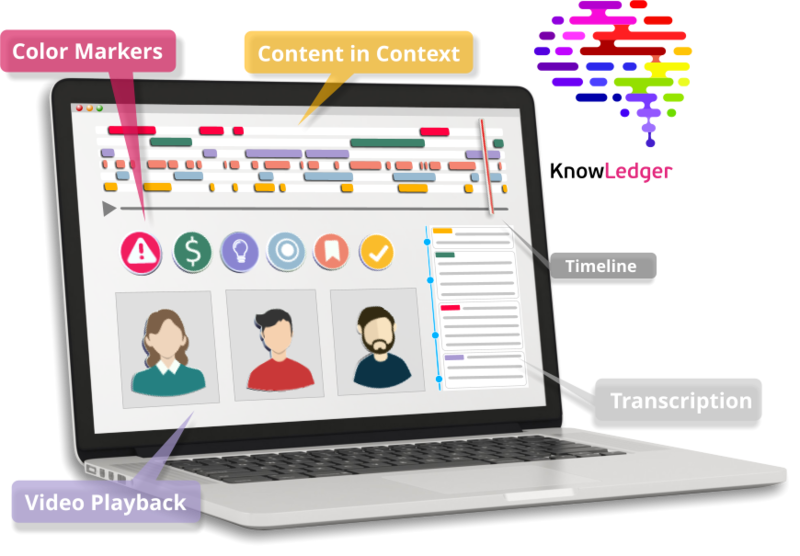 A new Acrossio network will be created based on your Slack team. Also, a new Acrossio administrator account will be created in this network based on your Slack user.